Type 4 topstykker Solgt User last replied: 6 months ago. No replies since. 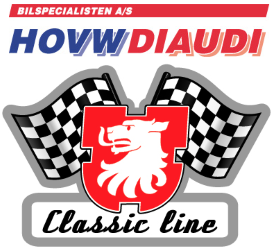 Vurdering salg VW T1 dele User last replied: 1 year ago. No replies since.
. User last replied: 2 years ago. No replies since. Total nybygget 2054cc type 4 motor sælges User last replied: 2 years ago. No replies since. CB plejlstænger 5.5" User last replied: 2 years ago. No replies since. Total nybygget 2054cc type 4 motor sælges Started: 3 years ago Most recent reply: 2 years ago. KØBES: et stk 412 S top til type 4 motor. Started: 3 years ago Most recent reply: 3 years ago. 40 mm dellort carbs sælges Started: 3 years ago No replies. 2,0 nybygget type 4 motor med porsche blæs Started: 4 years ago Most recent reply: 4 years ago. 12 volt starter sælges Started: 4 years ago No replies. Søges: Originalt luftilter til bus eller ghia Started: 4 years ago Most recent reply: 4 years ago. 1835cc type 1 turnkey motor til salg. Started: 4 years ago Most recent reply: 4 years ago. 12 volt starter sælges Started: 4 years ago Most recent reply: 4 years ago. Kadron karburatorer sælges Started: 4 years ago Most recent reply: 4 years ago. Skvulpe plade til type 4 sælges Started: 4 years ago No replies.